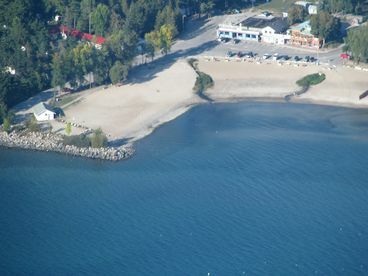 Search 1 Balm Beach vacation rental lakefront homes and mountain condos and cabins in Balm Beach, Ontario. The Motel with a million Dollar View We welcome you to Balm Beach Resort and Motel. Located just 20 minutes north of Wasaga Beach. Balm Beach is part of the worlds longest fresh water beach and is one of Georgian Bays best kept secrets. We are known for our white sand beaches and crystal clear blue water. 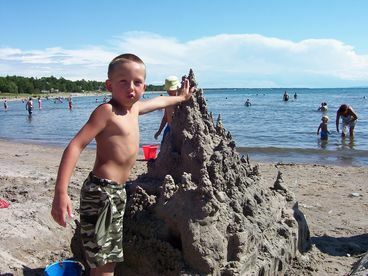 Have fun enjoying Balm Beach area attractions by day then relax around our campfire in the evening. You'll have Memories that last a life time.